Nun period ng Martial Law ay may pinapayagan bang mag-rally si Marcos? Kung walang rally, paano magkakaroon ng casualty? 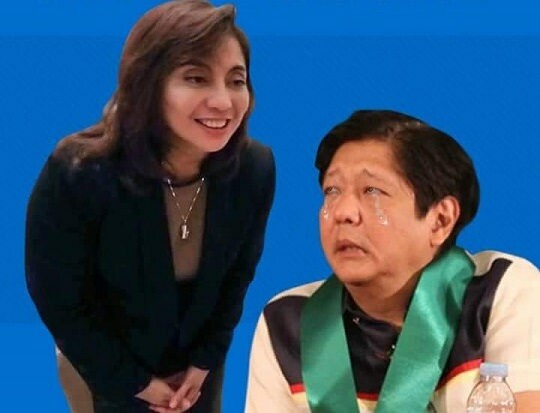 ibinasura na ba talaga ng PET ang walang kwentang protesta nitong si bbm? hihihihihih......alam na ibig sabihin ng "ano"
A GUNSHOT. Three more. Then shouts. A jumble of figures running across the tarmac of Manila International Airport. Amid the chaos, two bodies lie dead on the apron. One, a bullet through his skull, is Filipino opposition leader Benigno "Ninoy" Aquino. Of all the emotions that coursed through Filipinos in the days after that Aug. 21, 1983 assassination, perhaps the strongest was sadness. Aside from shock and anger at an act that appeared too brutal even for the military-shrouded regime of President Ferdinand Marcos, people felt the deadening sorrow that comes with hope's demise. Fully aware of the risks, Aquino had returned home from a three-year exile in an attempt to rebuild democracy, sensing the deepening morass of Marcos's rule. When he died, aged 50, many felt the promise of peaceful change had died with him. Yet, dramatically -- almost miraculously -- his goals were won. Millions marched at his funeral, marking the beginning of a mass challenge to Marcos. Aquino's death invigorated and united a shaky opposition leadership. And the ensuing political drama produced, three years later, an extraordinary bloodless revolution that handed the presidency to his widow, Corazon "Cory" Aquino, and restored the Philippines' democratic institutions. "Regardless of what he might have done with his life, he became a powerful symbol," says Alex Magno, a political scientist at the University of the Philippines. To Filipinos and the world, Aquino's sacrifice meant that freedom was still a hope worth dying for. But it isn't correct to see his crowning achievement in life as his death. Although his name can provoke cynicism in some quarters, Aquino was no mere grandstander. Even his fellow, fractious oppositionists could be heard to grudgingly acknowledge, while he was alive, that he was the first among them. He was the one who understood the big picture, who had the plan. And ultimately his ideas took hold. He opposed the Grand Project mentality of the Marcos years, the attempt at a Korean-style command economy (unlike the collectivist Koreans, Aquino said, "we are reared in individualism -- we're taught our rights before we even know our obligations"). Today the Grand Projects are gone. His personal achievements came early. He was born to a wealthy, landowning family, the son of a senator and the grandson of a revolutionary hero. In 1950, he covered the Korean War for the Manila Times -- at age 18. Three years later, as a presidential aide, he negotiated the surrender of peasant rebel leader Luis Taruc. Just shy of 23, he ran for mayor of his hometown of Concepcion. By 35, he was the country's youngest senator. He was headed straight for the presidency, occupied by someone equally promising and equally ambitious. Marcos became Aquino's wiliest opponent, and Aquino the president's most charismatic critic. But the rivalry between the two ran deeper than party loyalties. "He and Marcos were of the same mould," says political scientist Francisco Nemenzo. Descended from political families, both knew all the corners of the Philippine political game. Though Aquino's opposition to the strongman cast him in the democrat's role, their approaches at times intersected. Aquino once told Asiaweek he would have declared martial law -- as Marcos had -- had he been president during the troubled 1970s. "The people of Asia will accept authoritarianism," he said, "provided it's honest and competent." Aquino, says Nemenzo, "could have been another dictator." The country never got a chance to find out. After the Sept. 21, 1972, declaration of martial law, Marcos imprisoned Aquino for seven years. Incarceration ended up strengthening him. He found spiritual piety; his canniness turned into thoughtful idealism. In 1980, Marcos allowed him to undergo heart surgery in the U.S. He was supposed to return but, to no one's surprise, he and his family stayed. Yet he never really left Philippine politics. While in exile, he maintained discussions with Muslim separatists and communist rebels. Manila oppositionists beat a path to his Boston door. An optimist to the core, he was convinced that equitable solutions could be found to the country's crushing problems. His wife struggled with those problems -- poverty, insurgency, militarism, greed -- during her six-year term. Although she constantly asked herself, "What would Ninoy do? ", her success was limited. But the homemaker-turned-president delivered on her fundamental promise: the return of freedom. The Philippines is still in the process of fulfilling Ninoy Aquino's dream of a stable and prosperous democracy. But because of him -- and her -- it is a lot closer. Next to Ferdinand E. Marcos, the most amazing politician I have ever covered in my 43 years of professional journalism, was the late Senator Benigno Servillano Aquino Jr..
Brainy and boyish-looking, Ninoy Aquino was the quintessential politician. Outwardly, he had no mean bones in his body. Yet, inside him, he had a killer instinct. He could eliminate an enemy if not by the ballot, by the bullet. Partly to eliminate his enemies and partly to seek perhaps a modus vivendi with the rebels if he became president, Ninoy helped organize the New People’s Army (NPA) in December 1969 along a highway in Tarlac by befriending the young rebel Bernabe Buscayno (Kumander Dante). Ninoy then linked the NPA with the Communist Party of the Philippines (CPP) led by former university professor and landowner Jose Maria Sison. From 1969, the CPP-NPA would launch the world’s longest-running communist insurgency. The NPA reached its peak during the presidency of Cory Aquino with 25,600 armed guerillas. NPA’s armed strength declined to 4,000 guerillas years later. Today, under the presidency of Ninoy’s only son, Benigno Simeon Cojuangco Aquino 3rd, the NPA has an armed strength of about 10,000 guerillas. One issue against Marcos was his declaration of martial law on August 21, 1972 to quell the communist rebellion and reform Philippine society. In my interviews with him while he was on Christmas furlough at his Times Street residence, Ninoy disclosed he would declare martial law if he were elected president. Ninoy believed martial law was the only way to solve the economic and political problems of the country which was in the grip of oligarchs, threatened by insurgents, riven by political discord, and bedeviled by nagging poverty. Martial Law would also facilitate the partitioning of the vast 6,400-hectare Hacienda Luisita of his wife’s Cojuangco clan to its tenant farmers. Ninoy promised to make an example of Hacienda Luisita to show his sincerity in enforcing land reform. Ninoy would have been a very good president. There was a sense of urgency about him. His mind was malikot (very active) and worked like a sponge that could absorb bits of info from disparate sources yet could filter out the substantial from the inane. He was frustratingly charismatic. He could make you feel very important to him, even if he disliked you, speaking with eyes focused on you as if you were the only one in the room. He showed incredible warmth, sincerity and effortless grace. He did not finish any college degree although he went to three universities all of which now claim him as their alumnus, and lectured at Harvard (his best years as a non-politician). In December 1979 prisoner Ninoy was on a three-week furlough at his Times Street home. I visited him. He welcomed me at the gate, embraced me like a long lost brother, ushered me into his study room where Cory Aquino, the plain housewife, was doing some crocheting. He asked her to prepare coffee and merienda which she did dutifully without questions. 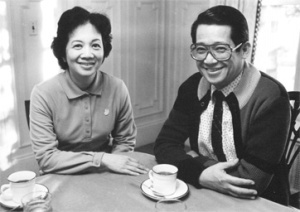 Convent-bred, Cory was a Math and French major and served Ninoy with unbridled love and loyalty. Then Ninoy and I sat down for more than an hour of interview. “I have finished the answers to your questions,” the senator began. “But I didn’t submit to you any questions,” I protested. “I framed the questions myself,” the former journalist replied, “and typed the answers.” He handed me a six-page document cleanly typewritten with no erasures nor corrections, a Q/A on a number of topics, from local politics to foreign policy. Later, he stood up, retrieved four sheets of bond paper from his filing cabinet. They were four poems which he said he had composed and typed just for me. He autographed each poem for me and handed them to me while embracing me. Our birth dates are two days apart—November 25 for me, November 27 for him. I do not know if Ninoy appreciated the fact that I was one of four or five foreign correspondents (I was working for the Mainichi Shimbun of Japan and Asiaweek Newsmagazine of Hongkong) who covered his trial before the military tribunal. It took some courage to do. One had to drive through a military gate, be interrogated by the sentry and searched. Inside the impromptu court room, the tribunal of military officers looked grim and menacing. Going home after the trial, I would look under my car for any signs—you know, of bugs or bombs. On the evening of November 25, 1977, the tribunal convicted Ninoy for subversion, murder and illegal possession of firearms and to die by musketry. Since the penalty was death, the decision had to be affirmed by the Supreme Court. The high court affirmed the death penalty. That act led to the military six years later to execute Aquino while going down the stairs of a jumbo jet in broad daylight on August 21, 1983. From that moment, the once ambitious politician who became deeply religious became a national hero. And yes, I cried when I saw Ninoy inside a coffin with his bloodied face and bloodstained white jacket a day after his killing. On February 25, 1986, Cory Aquino was proclaimed President by virtue of People Power. On August 2, 2009, Cory died of cancer. The nation wept the loss of the Icon of Democracy. On May 10, 2010, a grieving nation elected her son, Noynoy Aquino president.